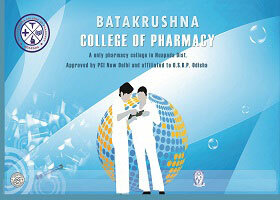 Batakrushna College of Pharmacy, one of the leading educational Institution in Odisha, was set up in the year 2005-06 with an aim. The institution was established by the dynamic guidance of its Chairperson Mr. Satya Bhusan Sahu with a strategic touch of our Secretary Mr. Tankadhar Sahu, Who directly involved in the operation and management & gradually promoted by Susila Batakrushna Charitable Trust. ➩ In the race of global business oppertunities of the 21st century, the India economy is being restructured through a process of economic reforms based on free market principles, several Indian companies are re-designing their long term strategies to emerge major players in their target markets worldwide. ➩ As a part of the placement efforts, the institute has maintained a reports with a number of potential employers and placement consultans & appraise them of the level of knowledge & practical application skills acquired by our students in various area of marketing, manufacturing,hospital and nursing homes. ➩ Our pass out students has already been placed in the public sectors as well as private sectors, MNCs like Dr.Reddy's lab, Alkem Pharma, Troekaa Pharma, Raptkos Pharma etc. ➩ Placement agencies are keeping in touch with the recent to offer the best options as per individual competencies. ➩ The institution believes that the entire placement exercise is a coordinated effort between the students of BKCP.